Rocky Mountain Print Solutions is dedicated to delivering the highest quality consumable print products with an emphasis on customer service and haste response time. Our reach extends to a variety of commercial and promotional printing, combining decades of industry experience to ensure customer satisfaction and deliver professional printing results. Black Mountain Software has partnered with this reputable and reliable Montana business to provide customers with a simple, user-friendly online order solution for: W2 forms, 1099 forms, 1095-B & 1095-C (ACA) forms, Montana County Tax Bill Forms, and Check Stock. Fast and Free Shipping on all orders over $100! We strive to provide our BMS customers with secure and efficient solutions. With the help of our friends at Rocky Mountain Print Solutions, we accomplish that and more – simple, easier ordering, and affordable forms. For additional information and to get answers to frequently asked questions, click on the following link for the BMS/RMPS FAQ document. Billing Document Specialists’ (BDS) sole mission is to capture, process, and deliver time-sensitive data as an accurate, prompt, professional service. BDS specializes in the processing of your billing documents, starting at statement layout and proceeding through receiving statement data, creating the new statement, then folding and mailing those documents to your customers. Any government office, special district, organization or business that produces a statement can benefit from BDS’ services. Black Mountain Software has teamed up with BDS to provide an outstanding utility billing interface module that makes it easy for Black Mountain customers to take full advantage of a variety of BDS services, including: statement processing with NCOA address correction, online or voice payments, interactive voice response for in-bound and out-bound calls, lockbox service, remote deposit and bill bank pay. 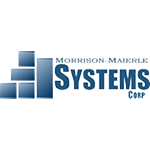 Once installed, payment transactions and customer account information are passed between BMS software and BDS, completely eliminating manual entry. DIS Technologies was created in 1964 with the passion to help businesses with their information management needs. We work with government, schools, medical and commercial businesses to improve their productivity while reducing their technology costs by providing computer network administration services. We manage the networks and the data so that our clients can focus on managing their businesses. Having many clients utilizing Black Mountain Software, DIS has the expertise to insure an optimal and secure computing environment for those enjoying the benefits of this powerful software. Visit our website at www.dismt.com or call 800.254.1347 or email us at info@dismt.com. 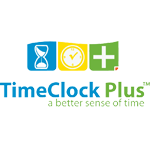 Developed by Data Management Inc., TimeClock Plus is available as a Windows or Web application suite and records employee hours for payroll while providing real time labor reporting functions. As a recipient of numerous awards that include Deloitte Technology Fast 500 and Texas Small Business of the Year, DMI has become a trusted provider in time and attendance with an A+ rating from the Better Business Bureau. The Texas company’s multinational team of developers expanded the Windows and Web product line to include mobile phone applications and IVR systems. For more information go to TimeClock Plus or call 800.749.8463. Simplifile provides innovative, simple, and secure electronic recording services via the Internet for a wide variety of customers, including title companies, banks, attorneys, lien filers, and County and State government jurisdictions. Simplifile e-recording services accelerate document recording and simplify document workflow processes, significantly reducing costly overhead associated with traditional submission and recordation methods while dramatically improving client service levels. Simplifile is focused on building the industry’s de facto e-recording network. As such, Simplifile provides a streamlined and scalable approach to electronic recording for organizations of all shapes and sizes. For more information on how Simplifile can benefit your organization, visit www.simplifile.com or call 801.373.0151. National Payment Solutions, LLC (NPS) is a leader in the electronic payments industry, providing multiple solutions to various industries, including billing companies, state, county, and local government organizations. NPS’s core focus is in the check industry, providing an end-to-end solution to check processing, from settlement through the Automated Clearing House network (ACH) to recovering the check payment if it returns unpaid. Along with check services, NPS also provides a complete solution for merchant bankcard authorization and settlement services (credit card and debit card processing). In conjunction with BMS, NPS provides an online bill pay and presentment solution, recurring credit card solution, and a remittance processing solution. NPS has both the knowledge and capability to meet the demands of a constantly changing marketplace and will work with you to suit your business needs. Corporation Service Company® (CSC), a pioneer of the electronic document recording industry, has more than 110 years of experience serving the corporate, legal and financial communities. We provide a secure, web-based document recording (eRecording) solution that allows document submitters including title companies, banks, and law firms to electronically record real estate documents with county offices throughout the U.S. CSC was first to market with an eRecording solution and our services remain the benchmark for speed, efficiency, and security. Our system bridges the gap between submitters and county offices and enables easier document creation on the submitter side and faster recordation, indexing, and acknowledgement on the recorder side. A computer, Internet connection and scanner/printer are all you need to start eRecording today. For more on how CSC can improve the way you work, visit www.erecording.com, or contact us at erecording-sales@cscinfo.com or 800.927.9800.